Scientists recently discovered four new elements, which will complete the seventh row of the periodic table. These elements are the first to be added to the periodic table since 2011. The four elements recently discovered are numbered 113, 115, 117 and 118. Element 113 was credited to a team of Japanese scientists working at the Riken Institute. This team is headed by Kosuke Morita. Elements 115 and 117 were credited to a team of American scientists working at the Lawrence Livermore National Laboratory in California, another team of Russian scientists working at the Joint Institute for Nuclear Research in Dubna and a third team of American scientists working at the Oak Ridge National Laboratory in the United States. Element 118 was credited to a collaboration between the Lawrence Livermore Lab and the Joint Institute for Nuclear Research. All of these discoveries were verified by the International Union of Pure and Applied Chemistry on December 30, 2015. 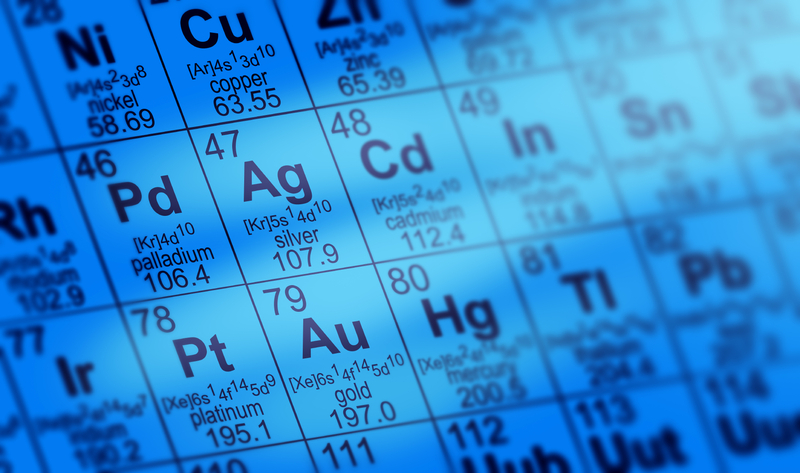 These four new elements are all synthetic and are considered “superheavy” elements. Scientists discovered them by inducing a collision between lighter nuclei. These elements exist for less than one second before they begin decaying and forming other elements. According to Chemistry World, Element 113 resulted when scientists fired zinc-70 at bismuth-209. Elements 115 and 117 were discovered through the collaboration of three different institutions, and element 118 arose from work published by two institutions in 2006. Scientists have not yet determined the official names of these elements, so they have been given the temporary names of ununtrium, ununpentium, ununseptium and ununoctium. Eventually, each element will be given a name in honor of a scientist, property, country, place, mineral or mythological concept. Each element will be named by the team that was credited with its discovery. The seventh row of the periodic table may be full, but scientists don’t intend to stop looking for new elements. In fact, Riken research leader Kosuke Morita proclaimed that his team would continue the search for elements numbered 119 and higher. It is likely that the Russian and American teams will do the same. In fact, Chemistry World reports that researchers hope to find an “island of stability” in existence beyond these most recently discovered elements, which would allow for the discovery of other superheavy elements in the future. Ajay-SQM and Iodeal Brands work to provide you with the best quality iodine derivatives in the quantities you need. For more information on the products we offer or any of our production and distribution practices, get in touch with our team today.